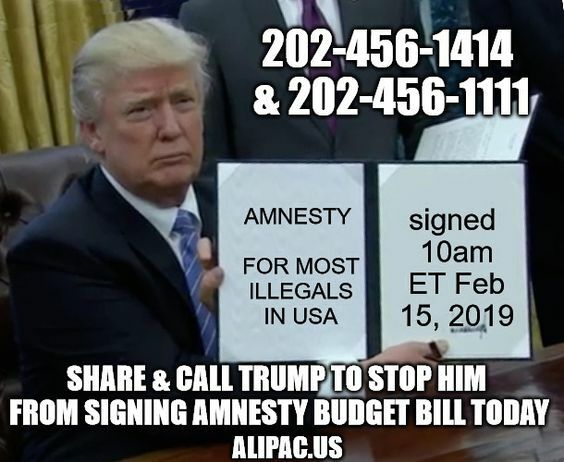 register your opposition to the budget Amnesty bill with the White House at (202-456-1414) and (202-456-1111) and in Trump's direction on (Twitter HERE) and (FACEBOOK HERE)! Nationalist Right Lega WINS Italian Region Dominated by Left for Decades!! !